Using the Morphing tool you can use hints to correct the morphing sequence. In the Timeline or Xsheet view, select the source drawing of your morphing sequence. 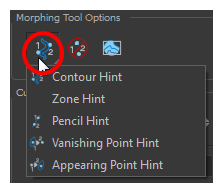 In the Tools toolbar, select the Morphing tool or press F3. 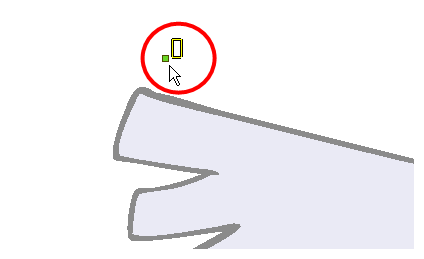 Use your other morphing key drawing, shown in the Drawing view's bottom right corner, as a reference. In the Tool Properties view, select the type of hint you want to use. 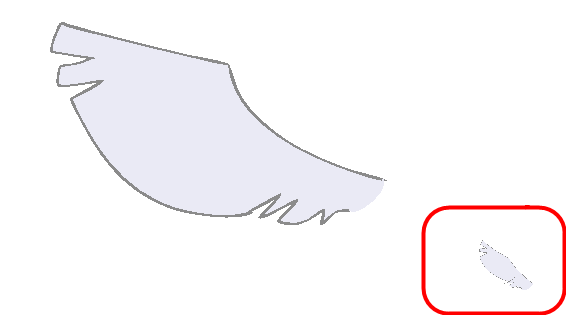 Select Contour Hint to correct a brush line or colour zone's contour (Contour vector). Contour Hint points will behave similar to Pencil Hint points when used on a pencil line. Note that you obtain better results using the Pencil Hint point on pencil line rather than Contour Hint points. 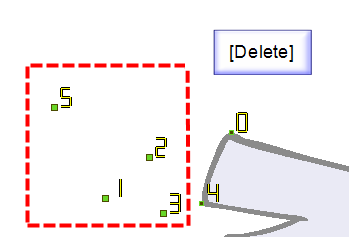 Select Pencil Hint to correct a pencil line (Central vector). Select Zone Hint to correct a colour zone morphing match. Select Vanishing Point Hint to correct a vanishing shape's trajectory. 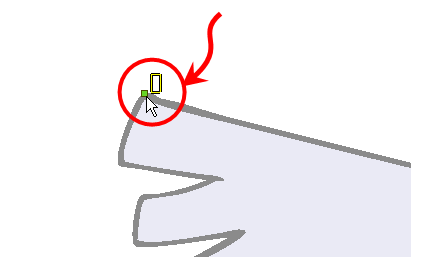 Select Appearing Point Hint to correct an appearing shape's trajectory. 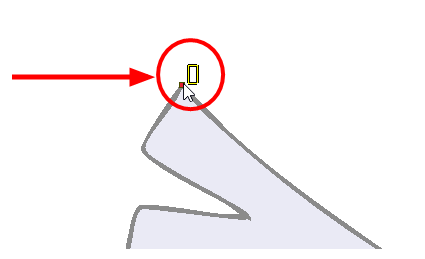 In the Camera or Drawing view, click on the drawing near the problematic area. Select the hint's point and move it to its correct position. In the Timeline or Xsheet view, select your destination drawing. Find and move the corresponding hint's point to the matching part of your destination drawing. In the Playback toolbar, press the Play button to see the result. Select one or many hints. NOTETo delete all of the hint points at once, press Shift + Del.